Raja Alem’s novel, The Dove’s Necklace, is not set in Mecca, as the reader might first think. Rather, its characters are desperate to break the walls confining them to the Meccan space and are eager to open windows to the world, both material and spiritual. Raja, the author, is continually hovering in the Meccan space. For her, Mecca is a very rich world, extending from the past and the present, to the future, a world unfamiliar to those who see things in black and white and ignore what lies beneath the surface of things. Raja’s Mecca is a place of many things and their opposites: sincerity and deception, wealth and poverty, architectural beauty and ugliness, whispers of the past and the assault of the future. Reality in this novel is an organic mixture of history, present day reality and fantasy. Some characters are flesh and blood and others are the product of dreams. The main narrator is neither Raja, nor one of her human characters. It is a neighbourhood in Mecca, ‘Abu Alroos’ (‘the Many-Headed’), where most of her characters dwell. When human characters begin telling the story, it becomes revelation rather than narration. The neighbourhood's eyes are wide open when others, including the police, go to sleep; hence it sees more of what takes place in its narrow alleyways. The police officer is incapable of finding the killer of the young woman whom he discovers lying naked in one of its streets and around whom the novel’s plot is built, but does Abu Alroos know? Even if it does, it will not give the secret away. It just keeps giving hints, while the reader desperately tries to follow the threads, without arriving at a specific point. The author is playing a trick on us, by pretending she too is looking for the killer, only to lead us away from the crime scene each time we think we know the killer’s identity. The crime is complex and the killer has several heads, so whoever wants to be safe should try unconventional methods to escape. Confrontation is not in the characters' interests: the prison is narrow and dark, in Aisha’s room there isn't a single window and the only light which trickles in is from her memory (a trip to Germany and a love story there), or from cyberspace (emails sent to her German lover) or through worlds opened up by imagination (D.H. Lawrence’s novels). To this we can add history, the escape route which Youssef the history graduate takes to a rich spiritual world. The Dove’s Necklace is a spiritual journey across time and space, an attempt to break material barriers by creating virtual or spiritual spaces, and sometimes intellectual ones. Characters are surrounded by walls and their lives are dominated by legends, harsh societal restrictions and the economic system and its powers. Some of the characters choose to stay where fate has placed them, others decide to break free. They refuse to remain hostages to the limits of their bodies and the coercive laws of nature and society and resort to unlimited spiritual powers, freeing themselves from the dimensions of time and space. This novel is a journey towards the freedom of the soul and its unlimited creative powers. Raja Alem is a Saudi novelist. She began publishing her work in the cultural supplement of the Riyadh newspaper and began writing experimental plays for the theatre. 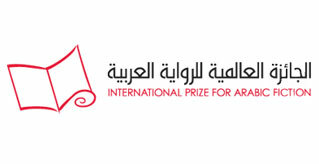 She has won many prizes, the most recent of which was in 2005 – the Arabic Women’s Creative Writing Prize on the occasion of the 60th anniversary of the founding of UNESCO; and the Lebanese Literary Club Prize, in Paris, 2008. Some of her works have been translated into English and Spanish.